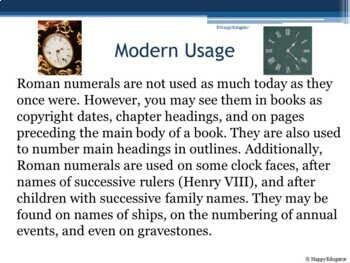 A great way to learn about Roman Numerals. 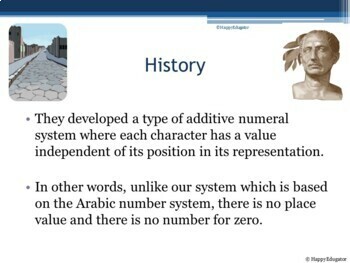 Animated and interactive PowerPoint on Roman Numerals. 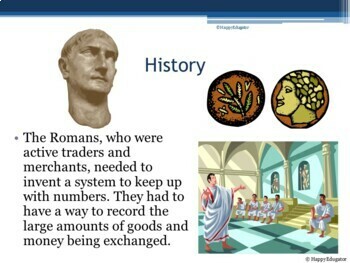 Includes history, modern usage, and how to read them with interactive practice. 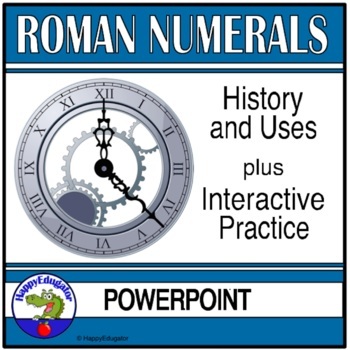 You can use it as an engaging way to get your students to understand Roman numerals. Your students will not only understand how to read them, but where they might see them today, such as on clock faces or in books as chapter headings or in the copyright date, making connections to the real world and making it relevant. Editable for your own classroom use.